Consuming less sugar is an essential thing to be healthy. In addition, refined sugars is not part of the vegan diet. 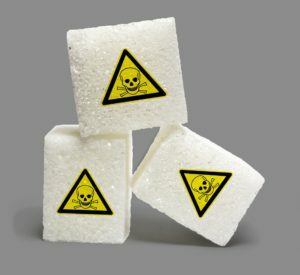 This is good news because refined sugars (as opposed to natural sugar, especially in fruits) act like poison in our body. This can be explained at different levels. Let’s have a look at the main benefits of a sugar-free diet. Stopping the consumption of sugar helps to maintain a better skin. The sugar contained in industrial products increases the amount of sugar in our blood. And this is responsible of the phenomenon of glycation. This term refers to the phenomenon related to unbalanced diabetes, which results in accelerated tissue aging and prevents skin cells from renewing themselves. It reduces its elasticity and causes premature wrinkles. In addition, added and refined sugars are bad carbohydrates. They are quickly digested and enter quickly in your blood, which results in a insulin increase. As a reminder, insulin is a pancreatic hormone whose role is to regulate the level of blood sugar to keep it as stable as possible. Stopping the sugar is above all a great way to lose weight. 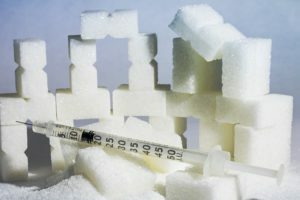 To mention once again the insulin increase, sugar encourages the assimilation of fat because the body stores sugar in the form of fat to fight against its sudden arrival. To be more specific, the excessive amout of carbohydrates is transformed into triglycerides, which molecules contain three fatty acids. Refined sugars are also the cause of tiredness after your meal or snack, because your diet will not provide you energy on a regular basis. The trick is to eat lower glycemic index products like oatmeal, high-protein or high-fat foods like almonds, and your energy level will be much more stable. Regarding the issue of diabetes, digesting too much high glycemic index carbohydrates like sugar requires a lot of work for the pancreas to release insulin and regulate the body. Finally, these cells that produce insulin get damaged and this is a cause of diabetes. Finally, for the heart, sugar also acts as poison because many studies show that it damages our cardiovascular system and our blood pressure. If like many people, you usually take your snack or your breakfast with a large glass of milk, you should know that cow’s milk also has a lot of harmful effects. In addition to the difficulties of digestion, its calcium is only partially assimilable by our body. In fact, there are other sources of calcium that are much more assimilable, such as vegetables, especially broccoli, or seeds. If you still want to consume milk, but suitable to a vegan diet, you can turn to non-dairy milk, which is much easier to digest, and does not ask cows to go through the slaughterhouse. To enjoy the benefits of a diet without sugar, it is better to consume non-dairy milks without sugar. And I want to mention a difference that can be confusing. “No added sugar” does not necessarily mean low sugar. A product without added sugars can remain a very sweet product and its glycemic index may be high! Therefore, it is very recommended to turn to a non-dairy milk without sugar, which will have a glycemic index lower than 50. 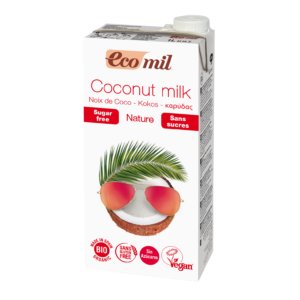 Since I started a vegan diet and stopped refined sugars, I drink Ecomil sugar free non-dairy milks which have a glycemic index of less than 50. These milks are sugar-free, and of course they are lactose free and gluten free. It’s a lot healthier than a classic rice drink for example, which even though the packaging may say “no sugar added”, remains very rich in sugar: almost 12 grams of sugar for a 200 ml glass! The label “sugar free” means that the drink does not contain more than 0.5 grams of sugar per 100 ml. At the same time, the label “no added sugars” means that the product does not contain added mono or disaccharides or any other ingredient used for its sweetening properties. Unfortunately, this mention is not very explicit on the amount of real sugar contained in a product. Among the main non-dairy milks, there is almond milk that does not contain gluten or cholesterol. It is almost three times less caloric than semi-skimmed cow’s milk. Several versions are available at Ecomil: classic almond milk, vanilla almond milk, almond milk with chia. Otherwise, you can find coconut milk. An excellent source of iron, phosphorus and magnesium, that contributes to the good health of blood, the renewal of our cells and the proper functioning of our immune system. The taste is very nice! Among the other non-dairy drinks, there is the hazelnut drink which has virtues similar to those of almond milk: rich in calcium, vitamins, magnesium, iron and monounsaturated fatty acids. In addition, there is quinoa drink which is a drink that, unlike other plant milks, is rich in protein, fiber and antioxidants. 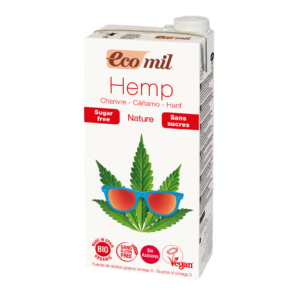 The hemp drink is rich in essential fatty acids, vitamins, minerals and fiber. Finally, the sesame drink is rich in calcium, but also lecithin, essential amino acids, vitamins B6, B9, E, iron, magnesium, calcium, potassium, phosphorus, zinc, copper. In conclusion, to become vegan, it may be necessary to make some changes in our traditional diet, because plant-based food without sugars has many benefits for our health. And above all, it is delicious!